On Saturday, AAC had a plein air painting day in a horse farm. The weather forecast was scattered thunderstorm, but the day turned out to be beautiful. The horses were very sweet and friendly, they were as cuddly as my cat. 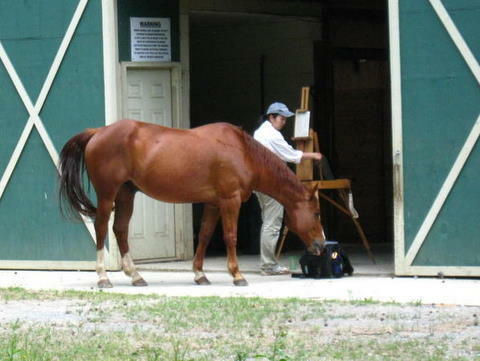 Curious horses tried to nibble everything from my easel to tubes of paint and were literally in a painting! The best paint out day ever.